Between them the following five fishing knots will tie hooks and swivels or join line. Including the Palomar knot, Uni knot and figure of eight loop knot. A strong knot for tying anything with an eye to monofilament, co-polymer or fluorocarbon fishing line. Two uni knots can be used to join line of different strengths. 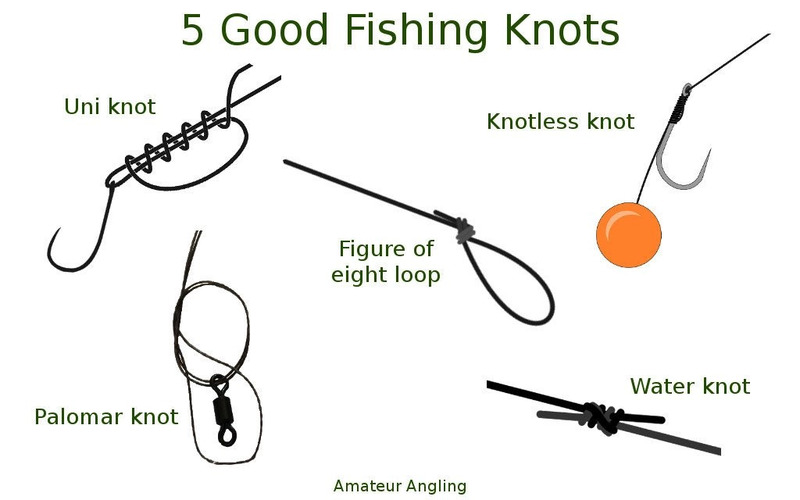 The knotless knot is used to tie a rig where the bait is clear of the hook, which gives the exposed hook the best chance of pricking the fish. Extensively used in ledgering where the casting weight or the weight of a feeder, helps to cause the hook to catch. The method feeder being a good example. 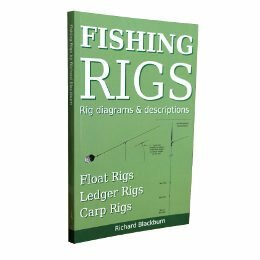 There are many uses for this fishing knot and many variations in hook length material, hook design and rig use. Figure of eight loop knot is for anything with an eye and for loop to loop line connections. This is a strong knot which can be used with monofilament, co-polymer, fluorocarbon and braid lines. The Four turn water Knot is strong fishing knot for joining a hook length to the main line. 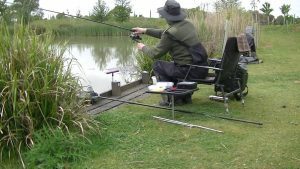 The water knot is much neater and less conspicuous than loop to loop and is ideal when stick float fishing. The main line and hook length can be of different diameters, but they should be similar. The Palomar fishing knot is ideal for tying swivels, snap links, hooks and anything else with an eye to braided line. 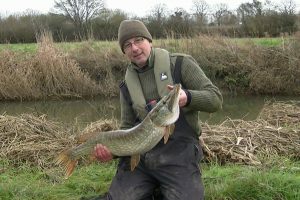 I regularly use this with Pike fishing rigs. This is my alternative way of whipping small spade end hooks, but only because I am not that keen on hook tiers.